The 17th Annual Screen Actors Guild Awards® arrivals opened with its traditional Champagne Taittinger toast, made this year by Scott Bakula, star of TNT’s hit drama “Men of a Certain Age” and a SAG Awards Committee member. An afternoon squall turned into sunshine as SAG Awards nominees and presenters traversed the SAG Awards red carpet outside the Los Angeles Shrine Auditorium protected by a wide translucent canopy. While media from around the world conducted interviews and shot photographs and video of the actors in their red carpet finery, fans in the bleachers, eager to take pictures and gather autographs, cheered for film and television’s finest actors. In a SAG Awards first, TNT.tv, TBS.com and PEOPLE.com’s live pre-show webcast not only was carried on the internet, but was streamed live on the giant CNN electronic billboard in New York’s Times Square.  SAG Awards Committee Chair JoBeth Williams and SAG President Ken Howard revealed this year’s SAG’s Honors for the outstanding performances by a stunt ensemble in television and film during the two-hour webcast. Throughout the arrivals, TNT’s “social media host” Angie Harmon and the SAG Awards team continued to “tweet” an insider’s view to Harmon’s and the SAG Awards followers, bringing the SAG Awards the number one trending topic on Twitter internationally throughout the evening. Entering the ceremony showroom Shrine Exposition Center through a grey silk-lined tunnel, SAG Awards, guests got their first glimpse of the striking new white and black set, reminiscent of a grand lobby, distinguished by a pair of monumental lacquered doors, each framed by oversized molding with rococo staff detail. Silver-leafed vertical pipes lined perimeter of the stage, rising up from a black and white check lacquered floor, while in the center floated a screen framed in the same silver-leaf, on which the nominated performances and tributes that are at the heart of the event were showcased. A custom crystal chandelier punctuated the stage lighting, echoed in multiple overhead crystal fixtures throughout the showroom. Lucques Catering’s scrumptious antipasto plate, created from sustainably produced ingredients, was complemented by arrangements of white, green and gold florals inspired by both classic and contemporary Hollywood. Guests enjoyed an 11th Anniversary Cuvée specially bottled by Dry Creek Vineyards in honor of its 11th anniversary as the SAG Awards’ wine sponsor. In another first, SAG Awards presenters awaited their moments onstage in an elegantly appointed Green Room hosted by The House of Graff and furnished by Fendi Casa, both sponsoring the luxurious retreat in support of the SAG Foundation. Continuing the SAG Awards tradition of saluting the Guild’s membership, Dennis Haysbert introduced a lively film sequence spotlighting commercial actors. Hillary Swank introduced an “In Memoriam” montage honoring the actors we lost in the past year. Morgan Freeman presented Ernest Borgnine with Screen Actors Guild’s highest honor, its Life Achievement Award, after a biographical tribute introduced by Borgnine’s longtime pal and co-star Tim Conway. For the fifteenth year PEOPLE magazine and the Entertainment Industry Foundation (EIF) celebrated actors’ charitable endeavors by making a generous donation to the SAG Foundation and by hosting the official SAG Awards Gala on the backlot of the Shrine. In honor of this milestone, SAG Foundation President, JoBeth Williams introduced State Senator Curren Price, California State Assembly Speaker John Perez, Speaker pro Tempore Fiona Ma and Assemblymember Isadore Hall, who presented proclamations to PEOPLE Managing Editor Larry Hackett and EIF President and CEO Lisa Paulsen congratulating them on their 15 years of support of the SAG Foundation. Guests entered the Gala from the showroom through fabric-draped passageways lit with a violet glow. Lighting behind a unique zigzag fabric ceiling accented by wooden beams continued the flattering color effect. Comfortable cream-colored conversation areas adorned with white flowers clustered in metallic vases and set against chocolate walls enhanced by bronze-mirrored Plexiglas louvers and bronze wall sconces, made for an inviting space in which to mingle, dine on contemporary comfort food by La Cuisine and dance to the music of Impulse.